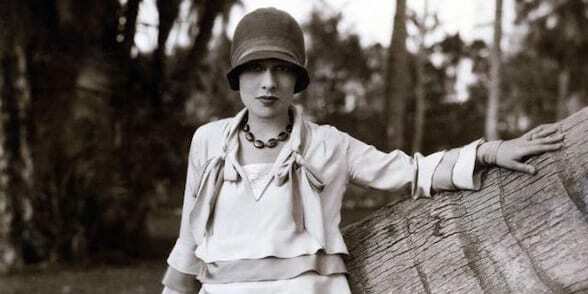 Anita Loos: Hollywood Pioneer - Slapstick | Bristol's Silent Comedy Festival. Lucy Porter talks about the fascinating life of Anita Loos – one of early Hollywood’s most talented and prolific screenwriters. Her friends and collaborators included DW Griffith, the Talmadge sisters, Mary Pickford and Douglas Fairbanks. A troubled marriage to fellow writer John Emerson interrupted her stellar career but Anita remains a worldwide legend thanks to ‘Gentlemen Prefer Blondes’. Lucy will introduce two early examples of her work: The New York Hat (1912, Dir: D.W. Griffith US 16mins) featuring Mary Pickford and The Mystery of the Leaping Fish 1916, Dir: Christy Cabanne and John Emerson USA 25mins) featuring Douglas Fairbanks and Bessie Love. With live harp accompaniment by Elizabeth – Jane Baldry.